Custom decorations don't have to be complicated - or expensive - to look great in your home. These fun, abstract wire trees are the perfect example. Easy Decor. 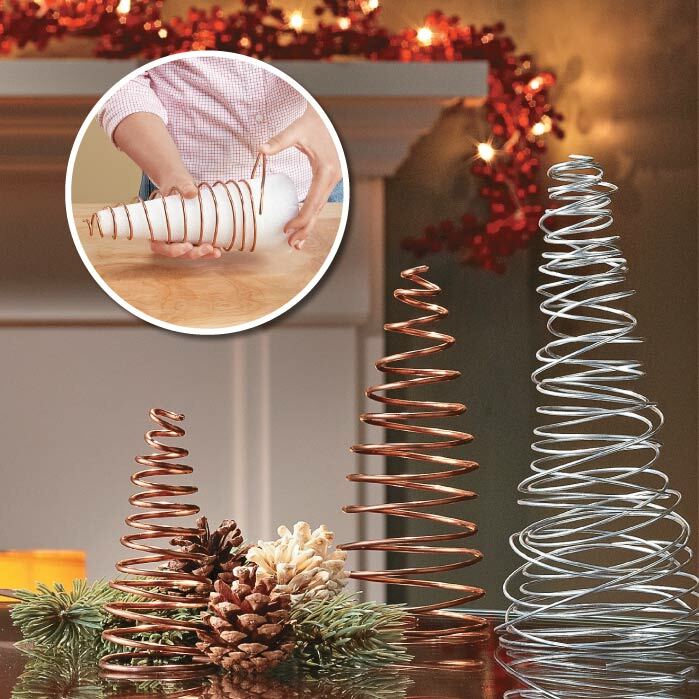 To make the trees, you'll need some copper or steel wire. We simply wrapped the wire around foam cones from the craft store (inset photo) to shape it.